Having a great business idea usually begins with filling a need. 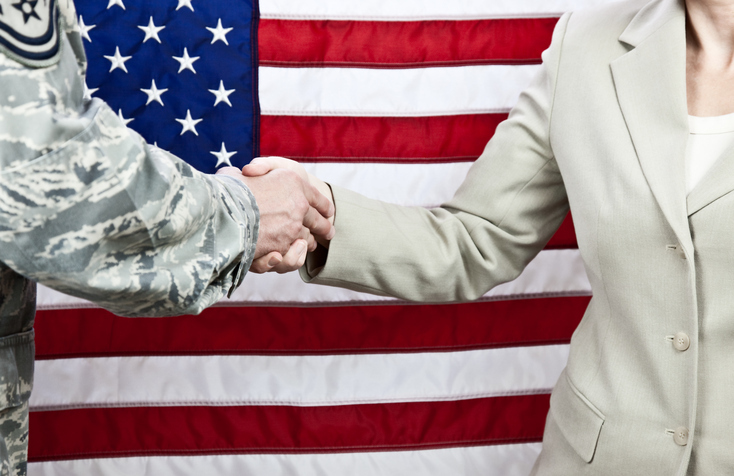 Whether you are going to sell a product or provide a service, your status as a veteran owned business or service disabled veteran owned business gives you a leg-up on the competition. The general public, corporations and the government all want to do business with you. 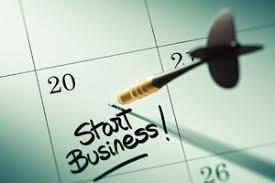 So what type of business should you start? The obvious first choice is something that is related to the things you enjoy. Many hobbyists go on to elevate their interests into thriving businesses at little to no cost. Gear-heads who have a love of cars and motorcycles could launch a swap-meet style business that offers fellow enthusiasts the chance to meet up and buy, sell and trade parts. If you love being on your computer, perhaps an online researching company would be up your ally. All you need is a phone, a computer, and internet access. If your talents run more to the social media side of the web, social media management is an up-and- coming area that many companies are looking to outsource. Scaling up and hiring others will allow you to focus on getting new clients. If you enjoy painting, you’re not just restricted to residential properties. A graffiti removal company is an unfortunate necessity in most cities nowadays. Like working from home? You can become a virtual assistant. Once you are established, you can scale your business as you secure more clients. If you’d rather be out and about, consider an errand running service. Again, as your business grows, you can hire employees. And since most people know how to do this already, your employees won’t require a lot of training. If you love animals, there are numerous opportunities available, including pet walking, pet waste clean-up, pet day care, pet-sitting and pet transportation. You have the choice to either stick to one specific service, or choose a number of them. It’s your business, so it’s up to you. If you know enough about a subject to advise others, start a consulting business. This could include IT consulting, fund-raising for non-profits, advertising consulting, public relations, writing services, and many more. Gifted in math? Start a tutoring company or a tax return service. Interior design your thing? Start a design business or staging company. A mobile paper-shredding service- Again, an unfortunate necessity in today’s identity theft climate. A residence for the elderly- Turning a private home into a home for older people who do not wish to or cannot live alone can be a very profitable business. Keep in mind that who you employ to take care of the residents is probably the most important element. Corporate health/fitness centers- Develop and manage fitness centers for corporations since higher stress, longer work days and constant multitasking make it difficult for employees to find the time to act on wellness goals. Creating an on-site wellness program works due to the amount of time spent at the workplace. These are just a few suggestions, and with a little leg-work, you can find your niche. Phishing is the fraudulent attempt to obtain sensitive information such as usernames, passwords and credit card details by disguising as a trustworthy entity in an electronic communication, often times directing users to enter personal information at a fake website nearly identical to the legitimate site. 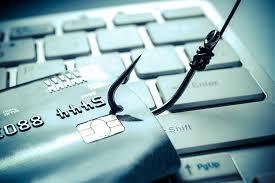 Spear phishing is a targeted aimed at a specific victim. These two cyberattacks can put your business is at risk if you don’t take the proper steps to thwart them. A phishing email will attempt to trick you into thinking it is from a legitimate, trusted source. Of course, you wouldn’t just give out passwords to a stranger, but if you think the email is from someone you trust, you might. A spear phishing email appears to be from a very specific sender. For example, the email could look like it’s from your IT services provider, using identical colors, logo, contact name, and even an email address that’s very close to the correct email address. So how do you spot the fakes and protect your company? Training and educating your employees is priority one. When your staff understands what to look for to identify these scams, they will be able to avoid opening and responding to the wrong emails. Check not only the email address the email appears to come from, but also check to make sure it’s not a spoofed email address. Also, look for typos and mistakes in grammar. Hover your mouse over any links embedded in the body of the email. If the link address looks weird, don’t click on it. Also, analyze the salutation. Legitimate businesses will often use a personal salutation with your first and last name. Another weapon in your arsenal should be limiting administrative access to your company’s social media channels. Cybercriminals may try to get you to access a file that deploys in your system and copies your entire contact list. Then the criminals can access all of your contacts’ data, not just the company’s data. If you can spot the irregularities in these communications, then you can avoid the scams. Start by checking. If it does not match a legitimate web presence that you can search for online, then do not open it. It’s likely a scam. We previously reported on the heartwarming story of homeless veteran Johnny Bobbitt using his last $20 to help supposedly stranded New Jersey motorist Katelyn McClure, who had run out of gas on Interstate 95 in Philadelphia. It turns out that the story was completely fabricated, with Bobbitt, McClure and co-conspirator Mark D’Amico preying on the generosity of strangers to collect more than $400,000 to help Bobbitt get back on his feet. All three are facing criminal charges of theft by deception. The money was collected through a GoFundMe page set up by D’Amico and McClure. Initially, GoFundMe spokesman Bobby Whithorne had said the company was working with law enforcement to ensure that Bobbitt got all the money raised for him. Now, the powers that be at GoFundMe are working to ensure that all monies will be returned to the donors. Investigators searched the Florence, New Jersey, home of D’Amico and McClure in September in order to determine what happened to the money they raised for Bobbitt. Although it’s not exactly clear where the money went, Bobbitt’s attorney has said it’s all gone. It looks like the IT system failures that resulted in 340,000 GI Bill students being shorted on their fall semester Basic Allowance for Housing (BAH) has not been fixed. 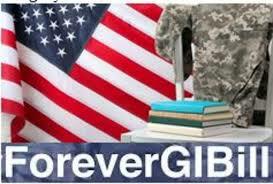 As of November 8th, the backlog was currently impacting at least 82,000 GI Bill students, it doest look like a fix will happen before the beginning of the spring semester. 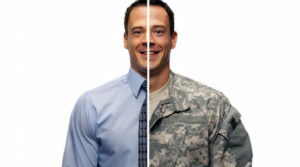 Two sections of the Forever GI Bill, which extends or expands many benefits, change the way the VA pays a monthly housing stipend. Previously the stipend was based on the ZIP code of where the veteran lived — now it’s based on the ZIP code of where he or she goes to school. This, apparently, upended the entire system, and left the VA with a huge backlog of claims to be processed. According to John Lawrence, the undersecretary at the Veterans Benefits Administration (VBA), the VA is working on “fallbacks” for the likelihood that problems will continue past the start of the spring semester. Based on testimony, Rep. Phil Roe (R-TN) chairman of the House Veterans Affairs Committee, said “we have no earthly idea” when veterans can expect the system will be functioning, or how much the fix will cost. Many are frustrated that there is no solution in place. No cases as yet have been filed of veterans who have been unable to enroll because of the system failures. 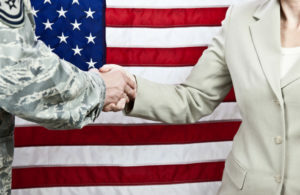 Retired Air Force Maj. Gen. Robert M. Worley II, the director of education services at the VBA, noted that about 1,000 veterans had been waiting more than 60 days for housing allowance payments that could exceed $2,000 per month. He said about 11,000 had been waiting for at least 30 days. Worley appeared to be first in line to take the fall for the VA’s failures. He is slated to be removed as director of education services and is being re-assigned within the VBA. For the time being, benefits claims-processing employees are working mandatory overtime, and the agency has brought on an additional 202-person processing staff. The VA said it is processing an average of 16,000 claims per day, but expects that the backlog will continue through the rest of the year. Establishing business credit is an important step for any new business. Business credit allows a company to borrow money that can be used to purchase products or services. Having a business credit history separate from a personal one minimizes the effect negative events on one might have on the other. For example, financial missteps that impact personal credit history and score wouldn’t impact the business credit if there is a clear separation, and vice versa. Setting up a separate legal entity, such as a limited liability company or corporation also provides protection of personal assets. The first step is to structure your business as a separate legal entity. Next, obtain a federal tax identification number (EIN). The EIN is basically a social security number for a business. Open a business checking account in the legal business name. Once open, be sure to pay the financial transactions of the business from that account. Apply for and use a business credit card, and be sure to pay the credit card bill from your business checking account. Open a business credit file with all three business reporting agencies: Experian, Equifax and TransUnion. It’s important to closely monitor your business credit reports and scores on a regular basis to ensure the information reporting is accurate and up to date. Establish a line of credit with vendors or suppliers. Work with at least five vendors and/or suppliers to create credit for your company to use when purchasing with them. Ask them to report your payment history to the credit reporting agencies. Most importantly, be sure to pay your bills on time. Just like with your personal credit, late payments will negatively impact your business credit. By establishing business credit; banks, lenders, suppliers, retailers, insurers and investors will now be able to better access the viability and creditworthiness of your business. Ultimately, your business credit report will impact the amount of credit, payment terms, interest rates and insurance premiums your business will pay.